By Peter Anderson Leave a Comment - The content of this website often contains affiliate links and I may be compensated if you buy through those links (at no cost to you!). Learn more about how we make money. Last edited January 4, 2013 . The year is quickly coming to a close, and before we know it 2013 will be here. 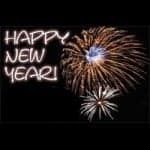 So let me be the first to wish you a happy, prosperous and blessed new year! The new year is a traditional time when to look back on the year that we've had, thinking about all the good times and the bad. It's a time for fresh starts, and for setting goals for the new year. It's all about striving to make the new year better than the last. Before we get too far into planning for the new year, however, please allow me to take a brief look back and to do a review of the top 20 posts on Bible Money Matters in 2012. We published 229 new articles in 2012, growing the total archive on Bible Money Matters to over 1,400 posts. There are a lot of hours invested by our team of writers in writing those posts, so I thank you for taking the time to stop by and check them out. Ways To Watch TV Without Paying An Arm And A Leg For Cable Or Satellite This post goes in depth talking about how my family was able to save money on our cable/satellite bill by using online streaming services and software to stream to our networked media player. 100 Frugal Gifts You Can Give This Christmas: The Expanded Great Big List Of Homemade, Creative And Frugal Gifts This post is popular just about every Christmas, but this year it was big on Pinterest and brought a ton of traffic. How We Saved Almost $1000 On Our Homeowners And Auto Insurance Premiums We switched our homeowners and auto insurance companies this year and saved almost $1000! This post details exactly how we did it so that you can duplicate our success. How To Get The Best Deal When Signing Up For Cable Or Satellite TV Signing up for cable TV In this post I talked about how we were able to get the best possible deal when we signed up for cable. Bible Verses About Money: What Does The Bible Have To Say About Our Financial Lives? This post gives well over 100 Bible verses that are related to our financial lives. That may seem like a lot, but there are hundreds more! Bible Verses About Having Strength During Hard Times This post has seen a huge surge of traffic recently with the shootings in Connecticut, along with hard times we've all been experiencing with a down economy. Dave Ramsey’s New House: Did He Follow His Own Advice And Pay Cash? I wrote this post a while ago, but it continues to get steady traffic. I guess people are just really interested to see how a big financial guru like Dave Ramsey is living. It probably doesn't hurt that Dave himself commented on this post! 15 Bible Verses About Thanksgiving And Appreciation Originally this post was written around Thanksgiving, but I've found that people are looking for verses talking about giving thanks to God year round. I guess that's how it should be anyway. 10 Tips To Help Sell Your Home Fast In A Down Market People who bought their houses near the height of the market are now trying to maximize their resale value and make sure their homes sell as fast as possible, despite lower prices. This post goes into the things to keep in mind when trying to sell quick. 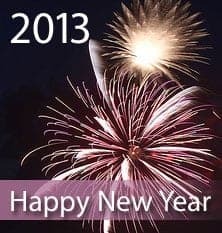 401k Contribution Limits And Rules For 2013 Contribution amounts for 401k and Roth IRA accounts are going up in 2013. Are you increasing your contribution? 10 Practical Ways To Save Money And Increase Your Net Worth People are always looking for ways to save money, and this post gives 10 ways to do just that. Dave Ramsey’s 7 Baby Steps Review: Is This A Debt Management Plan You Should Try? Dave Ramsey is one of the most popular financial gurus, and his 7 baby steps are a program worth taking a look at. Here's a review. 50 Easy Ways To Save Money Every Month Another post talking about how to save money every month. This post went in depth, looking at more than 50 ways to save money by saving on recurring expenses, saving on money leaks, creative ways to save and more. 50 Ways To Make Money: Maximizing, Creating And Increasing Your Income Saving money isn't the only way to improve your bottom line. You can also find ways to make money and increase your income via money making hobbies, side jobs, freelancing and more. Dave Ramsey’s Financial Peace University™ – Program Review We took Dave Ramsey's FPU class a few years back, and it helped to change the way we think about money. Here's a review of the program and why we think others should explore it. What If I Die? Make Sure Your Family Has All Your Important Information In One Place Far too often we don't think very hard about what might happen if we're no longer around to care for our family. This post explores some steps you can take to protect your family. What Does The Bible Say About Retirement? This site likes to explore financial questions from a Biblical worldview. This post examines what the Bible says about retiring. 10 Reasons Why I Love The Roth IRA (And Why You Should Too) One of my favorite investment vehicles is the Roth IRA. This post looks at ten reasons why I think they're great. 7 Attributes Of High Net Worth Individuals We're all looking for ways to succeed, and where better to look than those who have already succeeded. 8 Financial Lessons To Learn From The Duggars The Duggar family has 19 kids, and they've found ways to save money and prosper despite their large numbers. Handy List Of Common Tax Deductions This post seems to get popular every year around tax time. In fact, I may go read it myself before I start in on preparing my taxes! So there you go, 20 of our top posts of the year. Happy new year, and many happy returns to you and yours! Previous Post: Who Will Be Affected By The Fiscal Cliff?